Love and Lattes Now in Print! Woot! The headline just about says it all, doesn’t it? 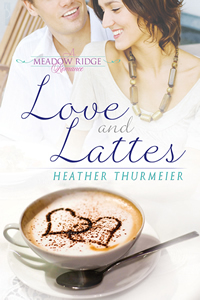 Love and Lattes, the first Meadow Ridge Romance, is now available in print! I’m just so excited, I can barely contain myself. I might just start dancing around my living room. But before the dancing starts, here’s the links for where you can get your very own PRINT COPY!! And in case you need a little refresher on what Love and Lattes is about, here’s the blurb to entice you! Julia can’t forget the night she spent with Chase after dancing at the club. When she runs into him on her first day at a new job, she’s thrilled to see him again–until she learns he’s her new boss. Chase gave up hope of ever falling in love, but after two years of playing the field, he’s finally getting the chance to date a girl who’s interested in him, not his status. Julia doesn’t know what to think when she’s threatened to stay away from Chase and then overhears gossips painting him as a player and Julia as his new toy. Should Julia heed the threats and gossip or is a chance to fall in love worth the risk? Still not enticed. How about a few 5-star reviews to spark your interest? Huge congrats on the print release. Heather, Congrats. I wish you luck with the print edition. This is a good book. Now I just wish I didn’t have to fill in all the info everytime I visit your site.